In the 12 years since they were first published "Uniform requirements for manuscripts submitted to biomedical journals" (the Vancouver style) have proved popular with both authors and editors; over 400 journals have stated that they will consier manuscripts that confirm to the requirements and we know that many more do so. The fourth edition, published here, incorporation recent amendments made by the group. The finding of high conjugated bilirubin needs prompt evaluation to rule out liver or bile duct pathology. If assessment of total and direct bilirubin is carried routinely in any infant whose jaundice persists for more than 2 weeks, early identification of a group of children who need corrective surgery for atresia of the extra hepatic bile duct is possible. The aim of this review is to look at common causes of infantile cholestasis with emphasis on evaluation, diagnosis, complications, treatment and outcome of infant with neonatal cholestasis. 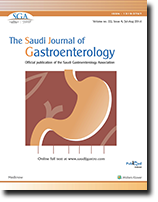 Various papers have been published on inflammatory bowel disease in the Kingdom of Saudi Arabia and other Gulf States during last decade. Apparently, the published data contradict previous belief and indi­cate that, we might deal here with a medical problem. 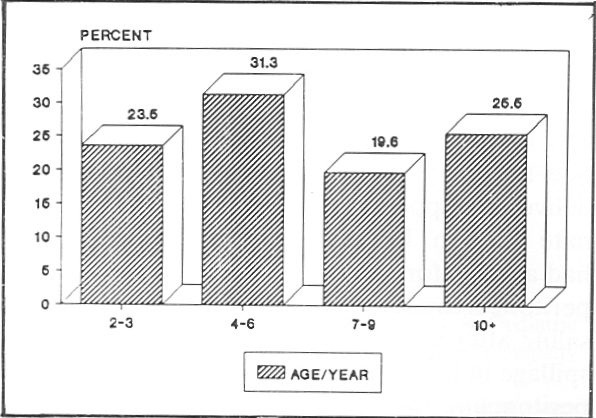 However, data on the magnitude of this disease in our community remains uncertain. Could we attribute this possible change to the improvement in diag­nostic procedure or to the change in life style? Unfortunately, the literature does not provide us with a convicting answer to this question yet. However, at this stage a review of the medical management in inflammatory bowel disease seems to be justified. 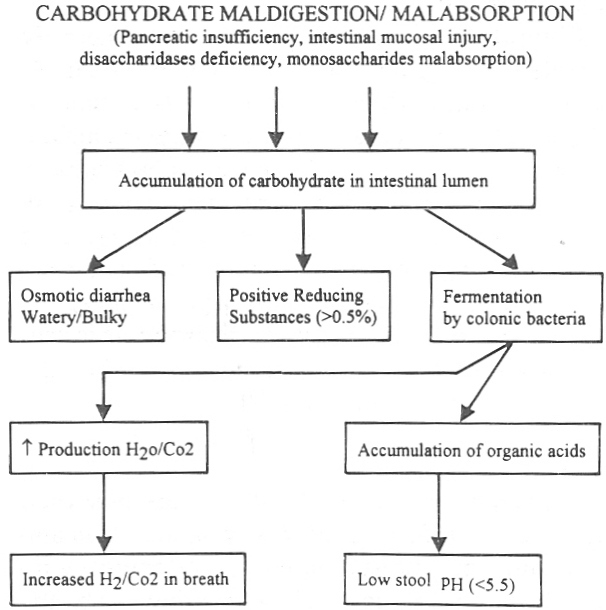 Hence currently used drugs in the management in inflammatory bowel disease are reviewed in this paper. Some of the potentially effective drugs for the future are also summarized. 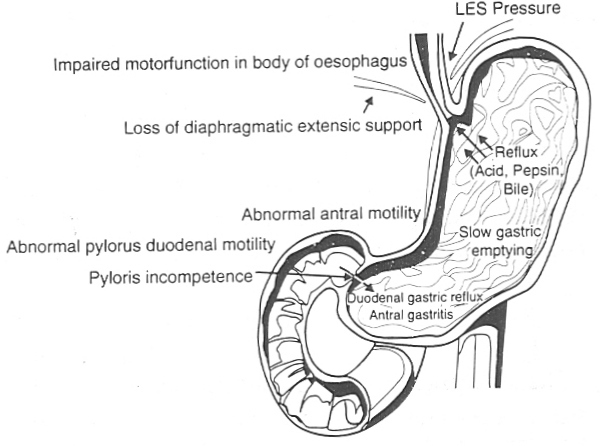 In this review of gastroesophageal reflux disease (GERD), we discuss the different aspects of physiology and pathophysiology and then the approach to diagnosis outlining the advantages and disadvantages of each method. The last part of this review covers the management of GERD and advances in this subject with special concentration on other aspects of management such as lifestyle changes followed by drug management. Portal hypertension with esophageal varices represents an important source of upper gastrointestinal bleeding. Variceal bleeding is associated with high rebleeding and mortality rates. Various treatment modalities are effective in control of bleeding. Endoscopic Sclerotherapy (ES) is the standard method for management of acute variceal bleeding alone or in combination with vasoactive drugs. Alternative methods are considered in case of sclerotherapy failure. Portosystemic shunt operation is complicated by systemic encephalopathy. Therefore, it is replaced by other surgical procedures. These include esophageal stapled transection, splenectomy with devascularization, distal splenorenal shunt (DSRS), DSRS combined with pancreatic disconnection, narrow diameter mesocaval (NDMC) or portocaval (NDPC) shunts and liver transplantation . Recently. transjugular intrahepatic portosystemic stent­shunting (TIPSS) has been introduced in the management of patients with refractory variceal bleeding waiting for liver transplanation. Massive non-variceal upper GI bleeding is a very common and serious problem. especially if bleeding comes from a vessel. In these circumstances, unless therapeutic endoscopy or emergency surgery is per­formed, the bleeding may lead to a very high mortality. Endoscopic injection therapy can be performed by injecting diluted epinephrine [1:10,000] or normal saline; alone or with a sclerosant. Adding a scleros­ant is preferred if the bleeding is massive or has a spurt pattern. This technique proved to be highly effec­tive and safe and almost comparable to other types of therapeutic endoscopies like bipolar electro­coagulator (BICAP) heat probe or laser photocoagulation therapy. The clinical studies performed in this field, the technique of injection and the types and amount of the substance to be injected will be discussed in details. Two hundred and seventy-seven patients were admitted with acute appendicitis to KKUH during a 5 year period. There were 189 males (68%) and 88 females (32%). Of these,51 patients(18.4%) had appendicu­lar mass diagnosed clinically or under anaesthesia. Twenty five were males and twenty six females. All patients with appendicular mass underwent exploration and six were found to have abscess forma­tion.All patients had their appendix removed. There was no mortality. Three patients developed wound infection, one a pelvic collection and one had sub-acute intestinal obstruction, giving a complication rate of 9.8%. We feel a surgical approach for appendicular mass, in a specialised centre dealing with paediatric surgical patients, is a safe alternative to the classical textbook conservative approach. It also has the benefit of reducing the hospital stay and requires no readmission for interval appendectomy, for which many patients fail to return. Human fascioliasis is well documented throughout the world, both the acute and chronic phases of the disease have been well described. Cholelithiasis with obstructive jaundice and discovery of fasciola hepatica worms during surgical exploration is a frequent mode of first diagnosis of chronic fascioliasis. 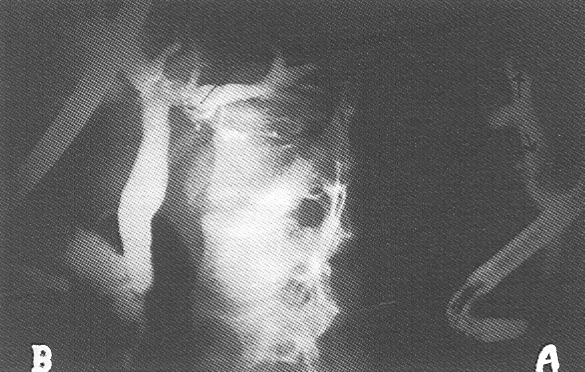 Here the presentation of six proven cases are described, all were diagnosed and treated by endoscopic retrograde cholangiopancreatography with details of the almost characteristic cholangiographic picture that can be hardly be confused with anything else, the clinical picture of the cases and their follow up together with a review of the disease is discussed.